Monday to Sundays from 09h00 to 17h30 for breakfast, tea and lunch. Friday, Saturday and Sunday from 09h00 till late serving breakfast, tea, lunch and dinner. Tuesday to Saturday from 09h00 till late for breakfast tea, lunch and dinner. Sunday and Monday from 09h00 to 17h30 for breakfast, tea and lunch. The Victorian Restaurant is open seven days a week, 365 days a year including public holidays. Tom Sawyer Picnic’s for children. Horse riding/horse carriage and quad bike rides can be booked by appointment. Different activities for kiddies at onsite events for example - Easter Sunday, picnic and treasure hunt. Ommiberg Festival in March – face paint/ character supervision (Tinkerbelle & Peter Pan)/candy floss/puzzles/sand pit etc. Funky Monkey Functions is a company that specializes in kid’s entertainment and we make use of them for all our events. The natural beauty of the Rhebokskloof is complemented by the perfect positioning of heritage buildings in a garden setting. Large tranquil lakes, elegant willow trees and verdant parkland make it a plush paradise you'll want to return to again ... and again. A variety of leisure activities can be enjoyed by both adults and children alike when visiting Rhebokskloof. You can arrange tailor-made day-packages to suit your family’s requirements. 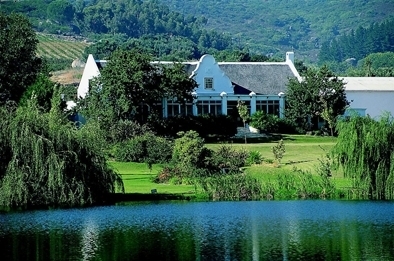 Visit www.rhebokskloof.co.za for more information.